Tears streamed down Godfrey’s cheeks as he explained how, one day, he wanted to become a teacher. His eyes averted, he struggled to summon the words to explain just how passionate he was about arming the next generation with the most powerful weapon of all: education. It’s been over two years since Godfrey and his mother first came into our offices at Action Two Africa to ask for assistance with paying his school fees. Humphrey already knew his family. Godfrey was the eldest of three children. His mother sold vegetables at a roadside stand, and his father was a casual laborer. But even between the two of them, they didn’t make enough to keep all three children in school, so they reached out to Action Two Africa for help. 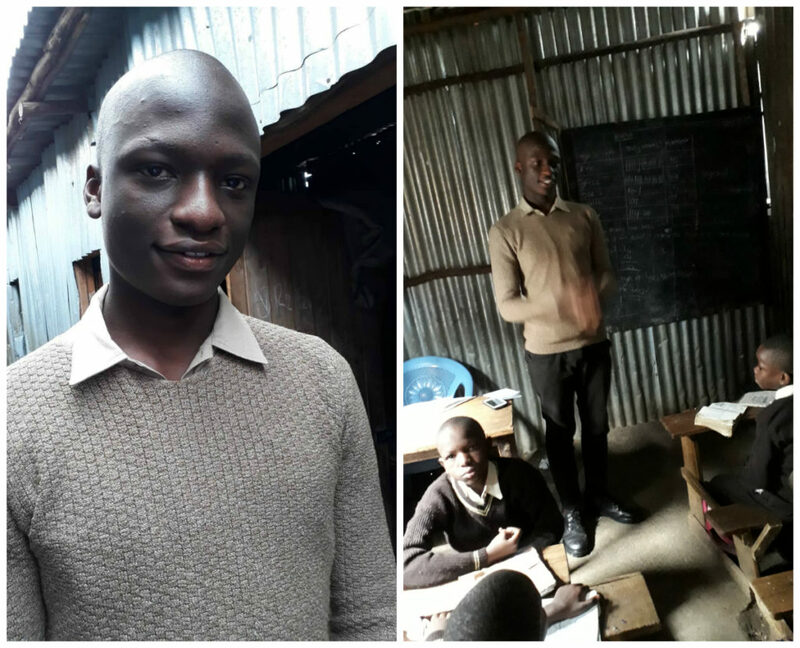 Two years later, Godfrey is a recent graduate from St. Patrick’s Secondary School in Nairobi. He was also recently accepted to the university, where he plans to pursue his degree in education. But in the meantime, as he waits to report for the first day of classes, Godfrey has chosen to spend his days doing something that embodies the mission of Action Two Africa: give back to his local community.